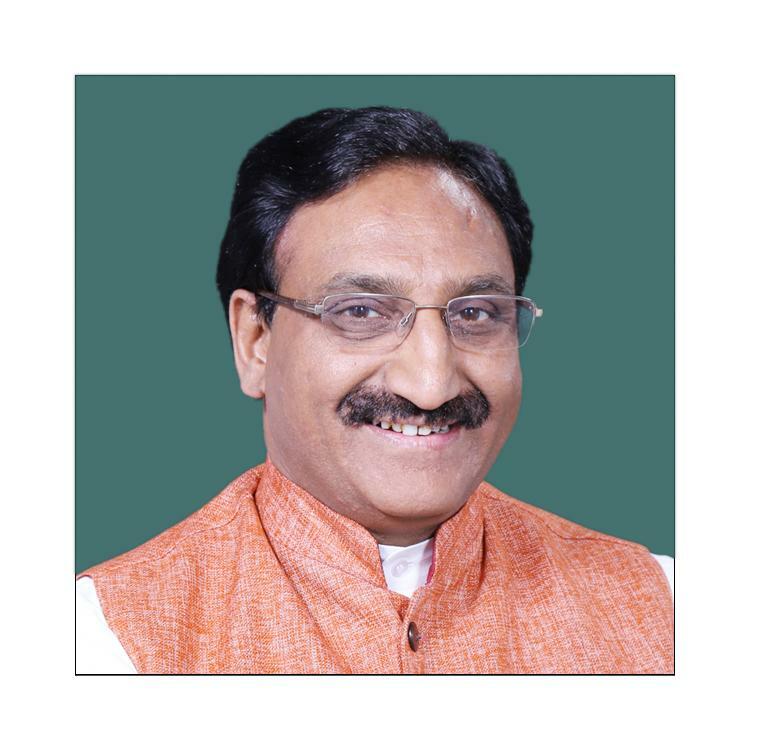 02:30 Nishank, Dr. Ramesh Pokhriyal ,Agrawal, Shri Rajendra ,Koli, Shri Bahadur Singh ,Patil, Shri C. R. ,Singh, Shri Sunil Kumar , (i) Consideration of Memorandum No.1 regarding working of the Committee on Government Assurances and status of pending Assurances as on 1st September, 2018. (ii) Oral evidence of the representatives of the Ministry of Health and Family Welfare (Department of Health and Family Welfare) regarding pending Assurances. (iii) Oral evidence of the representatives of the Ministry of Heavy Industries and Public Enterprises (Department of Heavy Industry) regarding pending Assurances. 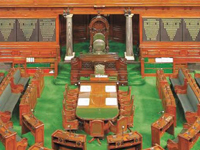 03:00 Nishank, Dr. Ramesh Pokhriyal ,Agrawal, Shri Rajendra ,Antony, Shri Anto ,Kachhadiya, Shri Naranbhai Bhikhabhai ,Koli, Shri Bahadur Singh ,Patel, Shri Prahlad Singh ,Patil, Shri C. R. ,Singh, Shri Sunil Kumar , (i) Consideration of Memoranda containing requests received from various Ministries/ Departments for dropping of pending Assurances. (ii) Oral evidence of the representatives of the Ministry of Railways regarding pending Assurances. (iii) Oral evidence of the representatives of the Ministry of Finance (Department of Economic Affairs & Department of Revenue) regarding pending Assurances. (iv) Oral evidence of the representatives of the Ministry of Home Affairs regarding pending Assurances. (v) Oral evidence of the representatives of the Ministry of Road Transport and Highways regarding pending Assurances. 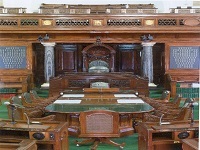 00:20 Nishank, Dr. Ramesh Pokhriyal ,Agrawal, Shri Rajendra ,Antony, Shri Anto ,Basheer, Shri E. T. Mohammed ,Kachhadiya, Shri Naranbhai Bhikhabhai ,Koli, Shri Bahadur Singh ,Patil, Shri C. R. ,Venugopal, Shri K. C. , Consideration and adoption of Draft Reports. 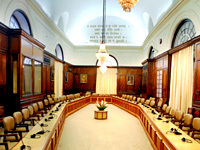 00:20 Nishank, Dr. Ramesh Pokhriyal ,Agrawal, Shri Rajendra ,Antony, Shri Anto ,Basheer, Shri E. T. Mohammed ,Kachhadiya, Shri Naranbhai Bhikhabhai ,Patel, Shri Prahlad Singh , Consideration and adoption of Draft Reports. 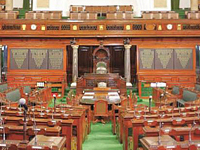 02:00 Nishank, Dr. Ramesh Pokhriyal ,Agrawal, Shri Rajendra ,Antony, Shri Anto ,Kachhadiya, Shri Naranbhai Bhikhabhai ,Patel, Shri Prahlad Singh ,Patil, Shri C. R. , (i) Oral evidence of the representatives of the Ministry of Housing and Urban Affairs regarding pending Assurance. (ii) Oral evidence of the representatives of the Ministry of Railways regarding pending Assurances. 1 14.01.2019 to 17.01.2019 Nishank, Dr. Ramesh Pokhriyal ,Basheer, Shri E. T. Mohammed ,Agrawal, Shri Rajendra , Dehradun and Lucknow from 14 January to 17 January, 2019 Discussion with representatives of the Ministry of Labour and Employment, Employees State Insurance Corporation, the State Government of Uttrakhand, Ministry of Corporate Affairs, Ministry of Petroleum and Natural Gas, Competition Commission of India (CCI), Indian Oil Corporation Limited (IOCL), Hindustan Petroleum Corporation Limited (HPCL) and Bharat Petroleum Corporation Limited (BPCL), Ministry of Science and Technology (Department of Science and Technology) and the State Government of Uttrakhand, Ministry of Environment, Forest and Climate Change, Indian Institute of Forest Management (IIFM), Bhopal and the State Government of Uttrakhand, Ministry of Finance (Department of Financial Services), State Bank of India, Punjab National Bank, Bank of Baroda, Union Bank of India, Bank of India, Central Bank of India, Oriental Bank of Commerce and Allahabad Bank, Ministry of Defence (Department of Defence) and Hindustan Aeronautics Limited (HAL), Ministry of Water Resource, River Development and Ganga Rejuvenation, National Mission for Clean Ganga and the State Government of Uttrakhand, Ministry of Road Transport and Highways, National Highways Authority of India (NHAI) and the State Government of Uttrakhand, Ministry of Railways and Research,, Design and Standards Organization (RDSO) Ministry of Textiles and Handloom Export Corporation of India Limited (HHECIL), Ministry of Human Resource Development (Department of Higher Education) and Educational consultants India Limited, Ministry of Information and Broadcasting and Telecom Regulatory Authority of India (TRAI), Ministry of Health and Family Welfare (Department of Health and Family Welfare), Food Safety and Standards Authority of India (FSSAI) and National Pharmaceutical Pricing Authority (NPPA), Ministry of Power and National Thermal Power Corporation (NTPC). 3 16.05.2018 to 21.05.2018 Dr. Ramesh Pokhriyal"Nishank"-Chairperson, Shri Prahlad Singh Patel, M.P., Shri Sunil Kumar Singh, M.P., Shri Rajendra Agrawal, M.P., Shri Naranbhai Bhikhabhai Kachhadiya, M.P., Shri E.T. 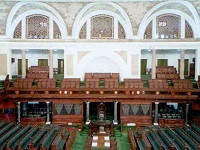 Mohammed Basheer, M.P. Shri Tariq Anwar, M.P. Dehradun, Lucknow, Bhopal and Hyderabad from 16 to 21 May, 2018 Discussion with representatives of the Ministry of Environment, Forest & Climate Change and Wildlife Institute of India (WII), Ministry of Power, Central Electricity Authority, NHPC Limited and THDC India Ltd., Ministry of Communications (Department of Telecommunications) and Bharat Sanchar Nigam Limited, Ministry of Rural Development (Department of Rural Development), Ministry of Petroleum and Natural Gas, Oil & Natural Gas Corporation Limited (ONGC) and ONGC Videsh Limited., Ministry of Textiles and National Textile Corporation (NTC), Ministry of of Youth Affairs & Sports (Department of Sports) and Sports Authority of India, Department of Atomic Energy and Nuclear Power Corporation of India (NPCIL), Ministry of of Petroleum and Natural Gas and GAIL (India) Ltd., Ministry of Defence (Department of Defence Research & Development) and Defence Research & Development Organisation, Ministry of Defence (Department of Defence), Ministry of Civil Aviation, Airports Authority of India and State Government of Madhya Pradesh, Directorate General of Civil Aviation, Ministry of New & Renewable Energy, Ministry of Power and Power Grid Corporation of India Limited (PGCIL), Ministry of Road Transport & Highways and National Highways Authority of India (NHAI), Ministry of Human Resource Development (Department of Higher Education), University Grant Commission (UGC) Rashtriya Sanskrit Vidyapeetha, Ministry of Finance (Department of Revenue), Ministry of Agriculture & Farmers’ Welfare ( Department of Agriculture, Cooperation & Farmers’ Welfare) Central Board of Excise and Customs and Central Board of Direct Taxes (CBDT), Ministry of Petroleum & Natural Gas, Indian Oil Corporation Limited (IOCL), Bharat Petroleum Corporation Limited and Hindustan Petroleum Corporation Limited (HPCL), Ministry of Finance (Department of Financial Services), Andhra Bank, Canara Bank, Corporation Bank, Indian Bank, Indian Overseas Bank, Syndicate Bank and Vijaya Bank, Ministry of Finance (Department of Financial Services), Insurance Regulatory & Development Authority of India (IRDAI), National Insurance Company Limited, Oriental Insurance Company Limited, New India Assurance Company Limited and United India Insurance Company, Ministry of Coal, International Coal Ventures Limited (ICVL) and Coal India Limited (CIL). 4 23.08.2017 to 28.08.2017 Dr. Ramesh Pokhriyal"Nishank"-Chairperson, Shri Bahadur Singh Koli, M.P., Shri Sunil Kumar Singh, M.P., Shri Prahlad Singh Patel, M.P., Shri Naranbhai Bhikhabhai Kachhadiya, M.P., Shri Anto Antony, M.P., Shri K.C. 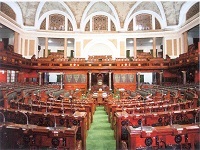 Venugopal, M.P., Shri Taslimuddin, M.P., Shri Rajendra Agrawal, M.P., Shri S.R. Vijay Kumar, M.P., Shri Tariq Anwar, M.P, Goa, Chennai, Port Blair (Andaman and Nicobar Islands) and Kolkata from 23 to 28 August, 2017 Discussion with representatives of the Ministry of Road Transport and Highways and National Highways Authority of India, Ministry of Earth Sciences and National Centre for Antarctic and Ocean Research (NCAOR), National Institute of Ocean Technology (NIOT) and Indian Institute of Tropical Meteorology (IITM), Ministry of Communications (Department of Telecommunications) and Bharat Sanchar Nigam Limited (BSNL), Ministry of Shipping, Ministry of Tourism, Mormugao Port Trust and Inland Waterways Authority of India, Ministry of Power, Central Electricity Authority and NHPC Ltd., Ministry of Health and Family Welfare (Department of Health and Family Welfare) and Food Safety Standards Authority of India (FSSAI), Ministry of Chemicals and Fertilizers (Department of Pharmaceuticals) and IDPL, Ministry of Petroleum and Natural Gas, IOCL, BPCL, HPCL, Chennai Petroleum Corporation Limited, Kochi Refinery and Visakh Refinery, Ministry of Rural Development (Department of Land Resources) and Union Territory Administration of Andaman and Nicobar Islands, Ministry of Defence (Department of Defence), Ministry of Home Affairs, Ministry of Drinking Water and Sanitation, Ministry of Rrual Development (Department of Rural Development), Ministry of Youth Affairs and Sports (Department of Youth Affairs and Department of Sports), Nehru Yuva Kendras and Sports Authority of India, Ministry of Finance (Department of Financial Services), UCO Bank, Allahabad Bank, Oriental Bank of Commerce, Bank of Baroda, Central Bank of India, LIC, GIC, Oriental Insurance Company Limited, National Insurance Company Limited, United India Insurance Company Limited and New India Assurance Company Limited, Ministry of Civil Aviation, DGCA and Airports Authority of India, Ministry of Coal, Coal India Limited (CIL), Central Coalfields Limited, Bharat Coking Coal Limited. 5 13.10.2016 to 18.10.2016 Dr. Ramesh Pokhriyal"Nishank"-Chairperson, Shri Bahadur Singh Koli, M.P., Shri Naranbhai Bhikhabhai Kachhadiya, M.P., Shri Prahlad Singh Patel, M.P., Shri Tasleemuddin, M.P., Shri Sunil Kumar Singh, M.P., Shri K.C. Venugopal, M.P., Shri Anto Antony, M.P., Shri A.T. Nana Patil, M.P., Shri Tariq Anwar, M.P, Shri Rajendra Agrawal, M.P., Kochi, Lakshadweep and Bengaluru from 13 to 18 October, 2016 Discussion with representatives of the Ministries of Shipping, Cochin Port Trust and Cochin Shipyrard, Ministry of Petroleum and Natural Gas, IOCL, BPCL and HPCL, Ministry of Finance (Department of Expenditure), Ministry of Petroleum and Natural Gas, GAIL, Ministry of Chemicals and Fertilizers (Department of Fertilizers) and Rashtriya Chemicals and Fertilizers Limited (RCF),Ministry of Road, Transport and Highways and National Highways Authority of India (NHAI), Ministry of Power and Power Grid Corporation of India Limited (PGCIL), Ministry of Civil Aviation, Airports Authority of India, Ministry of Defence (Department of Defence), Indian Coast Guard, Ministry of Home Affairs and U.T. Administration of Lakshadweep, Ministry of Tourism, India Tourism Development Corporation (ITDC), Indian Coast Guard, Coastal India Development Council (CIDC), Ministry of Home Affairs, Ministry of Earth Sciences, National Institute of Ocean Technology (NIOT), Ministry of Drinking Water and Sanitation Ministry of Communications and Information Technology (Department of Telecommunications), BSNL, Ministry of Civil Aviation, Air India and Pawan Hans Ltd., Ministry of Labour and Employment and Employees’ Provident Fund Organization (EPFO), Ministry of Defence (Department of Defence Production, Department of Defence, Department of Defence Research & Development), Bharat Electronics Ltd. (BEL), HAL and DRDO, Department of Space and Indian Space Research Organisation (ISRO), Ministry of Finance (Department of Revenue), CBDT and CBEC, Ministry of Finance (Department of Financial Services), Reserve Bank of India, State Bank of India, Punjab National Bank, Canara Bank, Indian Overseas Bank, Syndicate Bank. 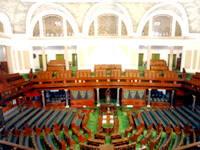 8 11.06.2015 to 17.06.2015 Nishank, Dr. Ramesh Pokhriyal ,Agrawal, Shri Rajendra ,Koli, Shri Bahadur Singh ,Patel, Shri Prahlad Singh ,Patil, Shri Chandrakant Raghunath ,Venugopal, Shri K. C. ,Singh, Shri Sunil Kumar ,Taslimuddin, Shri , Guwahati, Itanagar, Gangtok, Darjeeling and Kolkatta from 11 June to17 June, 2015 Discussion with representatives of the Ministries of Tourism, I.T.D.C, Ministry of Power, NEEPCO, Ministry of Information and Broadcasting, official of State Government of Arunachal Pradesh, Ministry of Home Affairs, Ministry of Power, N.H.P.C, Ministry of Communications & Information Technology, B.S.N.L, Ministry of Development of North Eastern Region, Ministry of Commerce & Industry, Tea Board, Ministry of Petroleum & Natural Gas GAIL Gas Ltd., GAIL(India) Ltd., Ministry of Shipping & HDPEL.